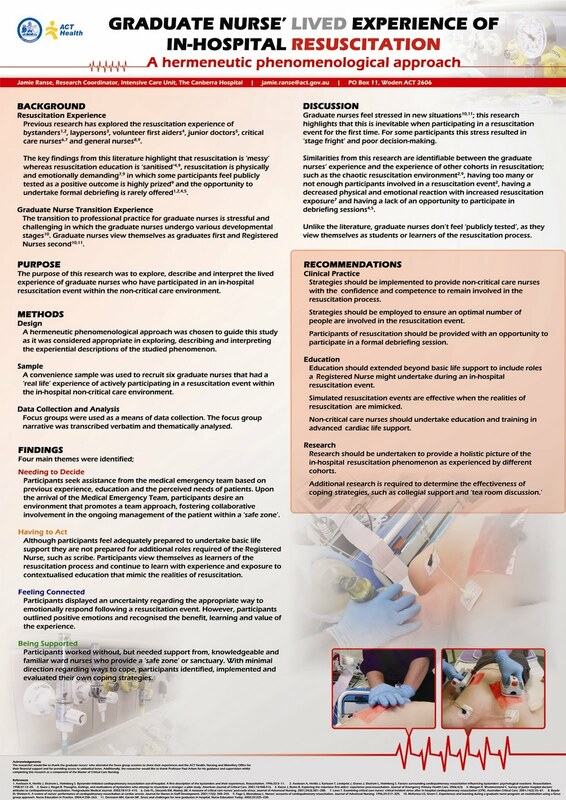 This poster presents a summary of my research work undertaken as part of the Master of Critical Care Nursing. This poster received the 'Best poster presentation' prize at the 6th International Conference for Emergency Nurses, Melbourne, Australia. Ranse J. Graduate nurses’ lived experience of in-hospital resuscitation – a hermeneutic phenomenological approach, poster presented at the 6th International Conference for Emergency Nurses, Melbourne, Australia, 12th October 2007.